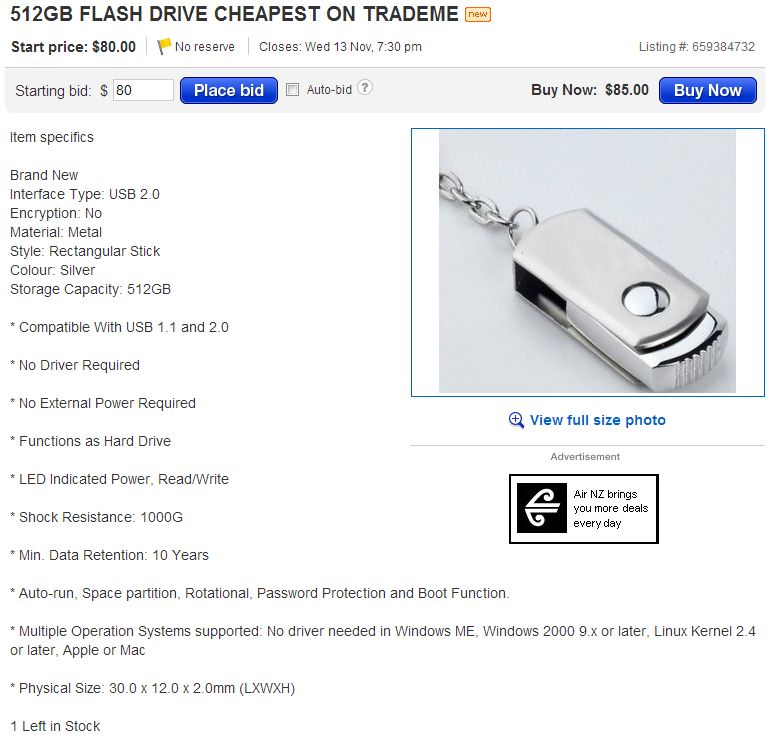 I have started to notice a large number of auctions being listed on Tradme for Fake/Hacked High Capacity USB Flash Drives. 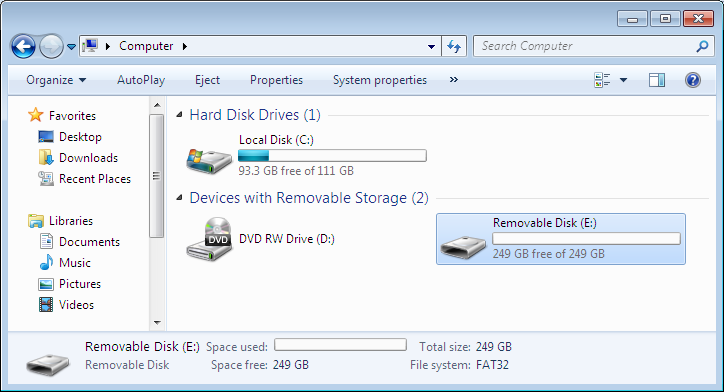 The drives are being sold as 64GB, 128GB, 256GB or 512GB USB Flash Drives, but in fact are lower capacity drives (normally 8GB or less) which have had the firmware hacked so that they report a higher capacity. This is a big issue overseas and the drives are commonly sold on ebay and can be easily purchased via China in bulk. The drive will report the hacked capacity in Windows, Mac OS and will function fine until they reach the true capacity. 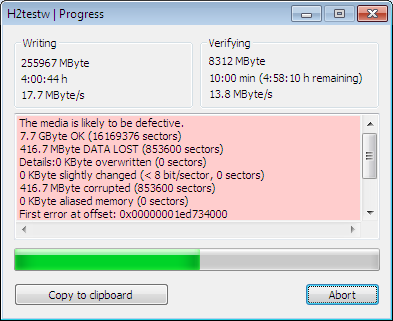 Once this happens the drives will corrupt any additional data being written to the drive. In the past I have reported these to Trademe and they were quick to remove the listings, especially if the drive was a branded counterfeit product. I have reported several of these listing to Trademe recently and Trademe has done nothing. To prove that these drives were fake I have purchased a 256GB USB Flash Drive from a seller on Trademe and ran diagnostic tests on the device. 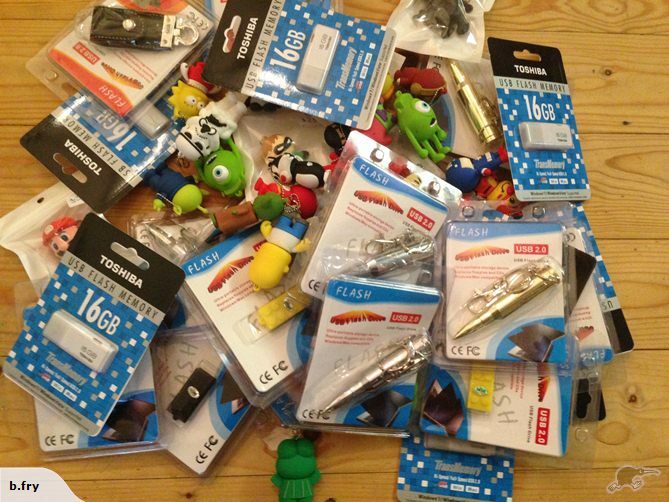 Test results for Fake 256GB USB Flash Drive purchased from Trademe. 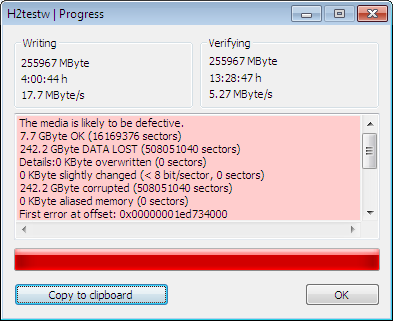 Drive fails verification at 8GB, all data after 7.7GB is Corrupt. 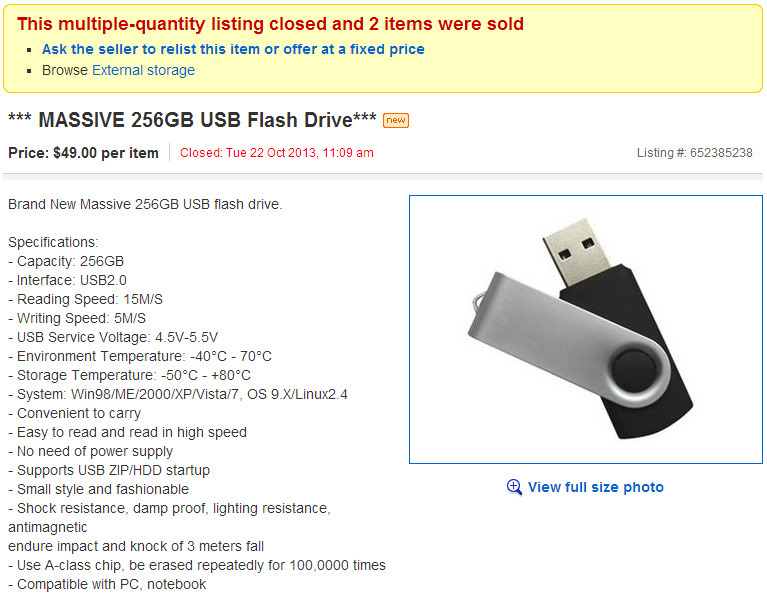 A true 256GB USB Flash Drive retails for over $500, these drives are selling on Trademe for $49 Buy Now. 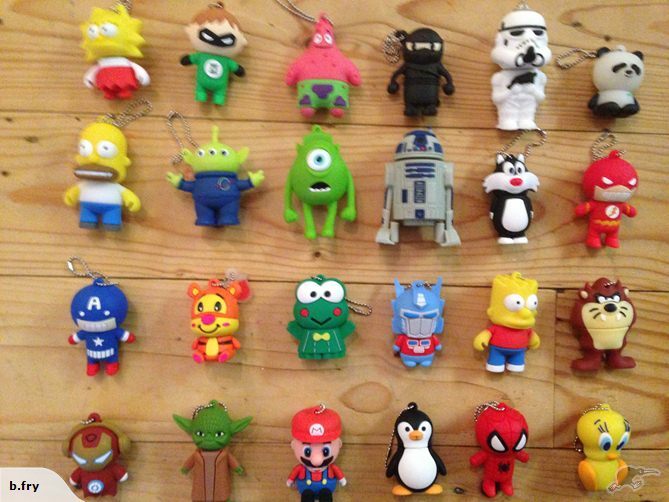 As a technology company Trademe should know these are fake. It is clear Trademe value their commission/listing fees more than the integrity of their brand. This is shocking behaviour for publicly listed company. I am certain their share holders will be outraged to know that Trademe is turning a blind eye to this illegal activity happening on the Trademe site. The easiest way to explain how a hacked drive works is to think of it as a 8 litre bucket which has been labelled and sold as 256 litres. The bucket will work perfectly until you try to store more than 8 litres in it. The scary part as with the bucket an 8GB USB Flash drive which has been hacked to report 256GB will function normally, the operating system will report the capacity that the firmware has been hacked to report. You can copy files onto the drive and read them back with no issues, however as soon as you reach the true capacity of the drive any additional data written to the device will be corrupt. 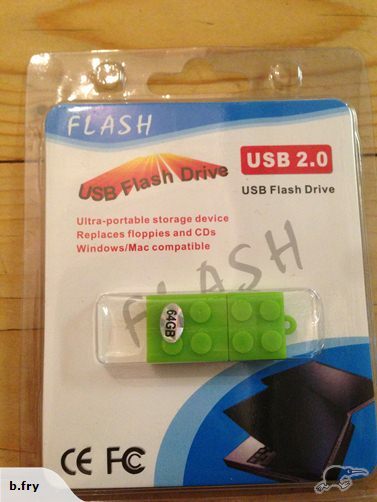 What do the Fake USB Flash drives look like? 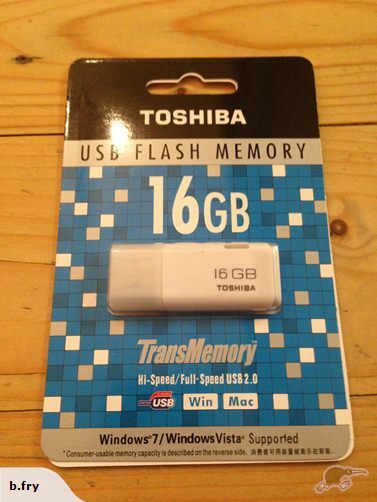 The drive I purchased from Trademe looked like a typical generic unbranded USB Flash drive. 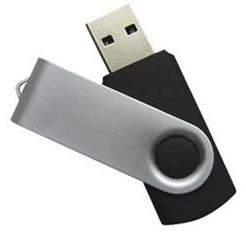 In fact I have a genuine 4GB USB Flash Drive which looks identical. 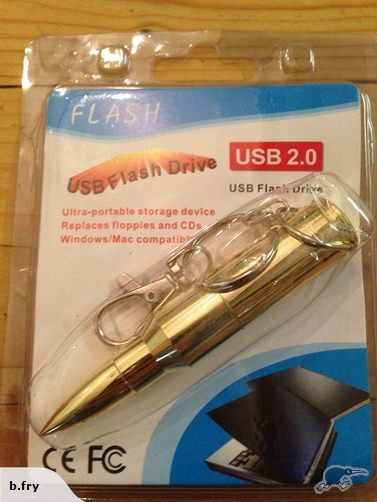 Fake 256GB USB Flash Drive purchase from Trademe. 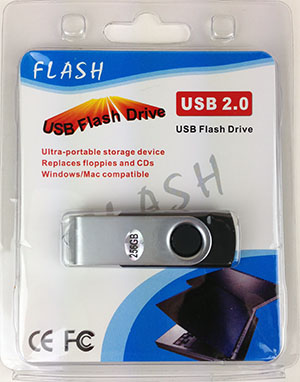 However these drives can look like any USB Flash drive and it is common to see counterfeit name brand drives. I reported the listing below to Tradme, back in June 2013. By memory Trademe was quick to remove the listing, when I pointed out that Lacie don't make a 128GB USB Key that was in the picture. So why did Trademe remove this device so quickly back in June 2013? It is easy really - Trademe could have been prosecuted for allowing a counterfeit product on it's website if Lacie wanted to take action. 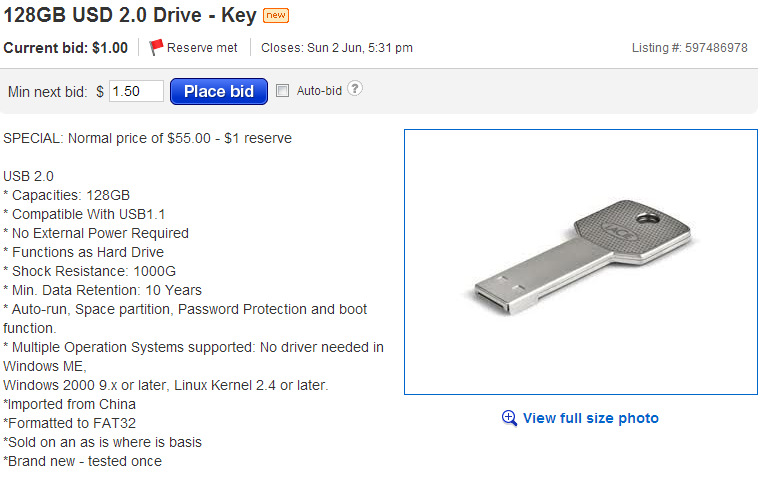 FAKE 512GB USB FLASH DRIVE - Listed on Trademe. So whats wrong with this listing? First off currently there is only a couple of manufacturers that make a 512GB Flash Drive. Kingston Digital claimed the title of world’s first 512GB flash drive, the DataTraveler HyperX Predator USB3.0 back in January 2013 at CES. 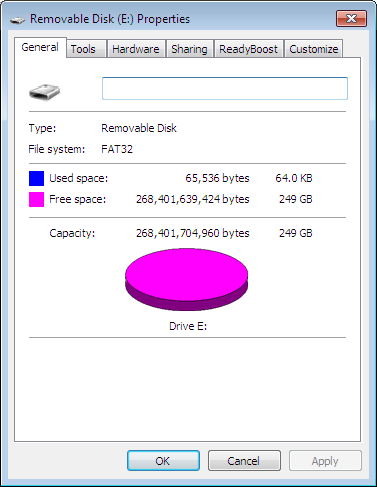 (The drive is currently available in 512GB, though they plan to have a 1TB model for sale towards the end of 2013). The 512GB Kingston DataTraveler HyperX Predator USB3.0 Flash Drive currently has an RRP of NZD $1,773.30 inc. G.S.T. 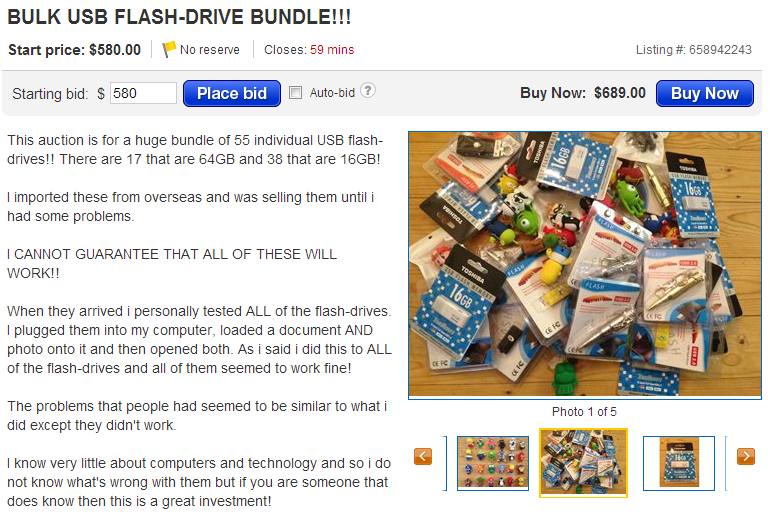 Yet this Seller has managed to source a 512GB USB Flash Drive which they can sell brand new on Trademe for $85 including G.S.T. with free shipping. Note: A lot of these drives are in similar packaging as the Fake 256GB USB Flash Drive I purchase on Trademe to prove the drives had been HACKED.